Calculative moves: Finance minister P. Chidambaram said the measures taken to ensure greater transparency in the manner in which funds flow into India will be good for investors in the long term. Oslo/New Delhi: Finance minister P. Chidambaram said planned curbs on offshore derivatives are aimed at improving disclosure in the stock market and not an outright ban on types of funds. 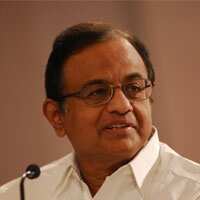 “All we are trying to do is ensure that there is greater transparency in the manner in which funds flow into India, and that investors are subject to some kind of due diligence in India," Chidambaram said at a press conference in Oslo on Tuesday. “We are not imposing capital controls, we are not against any kinds of inflows, or discriminating between one flow or the other." The Bombay Stock Exchange Sensitive Index had its biggest gain in 16 months on Tuesday after M. Damodaran scaled back planned caps on derivatives and said he may make it easier for investors to register. Proposals on 16 October by the Securities and Exchange Board of India (Sebi) to cut back on investment by unregistered investors caused a plunge in stocks that halted trading and ended eight straight weeks of gains on the Sensex. “The initial reaction was negative, but investors and foreign institutional investors (FIIs) absorbed what we have done and agree that it is good for the market, and good for investors in the long term," Chidambaram said. Record foreign investment has lifted the value of India’s stock market by 78% this year to $1.45 trillion (Rs57.42 trillion) and has strengthened the rupee by 11.8%, hurting exports. Excess cash in the banking system is also threatening to stoke consumer demand and fan inflation. “We recognize that an economy that is strong will result on some appreciation of the currency, especially versus the dollar, but it is the rapid appreciation of the rupee that has caused some problems to our exporters," he said. “We have taken care of that by offering them some support." The finance minister said, “We would like to maintain a competitive exchange rate without hurting investments." The rupee rose 0.8% to 39.595 per dollar in Mumbai, its biggest gain since 20 September, according to data filed by ‘Bloomberg’.